Oil prices are still down sharply from the highs of October 2018, but the industry may still increase spending this year. The cost of developing new projects might rise along with higher spending levels. 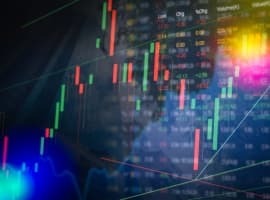 A survey of top industry executives by DNV GL suggests that capital spending on oil and gas could rise in 2019. Of the 791 senior professionals in the energy industry surveyed by DNV GL, 70 percent said they plan on either maintaining or increasing capex this year. That is up significantly from the 39 percent who said the same in 2017. On the flip side, the cost of developing new projects could be on the rise as well. The oil market downturn that began in 2014 led to steep cost deflation, with falling costs for services, equipment and labor. But those cost reductions appear to have bottomed out. 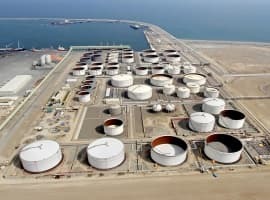 A report from Muktadir Ur Rahman of Apex Consulting finds that the cost of development for the seven largest oil companies – BP, Shell, Eni, Chevron, ExxonMobil, Total and ConocoPhillips – are set to rise. 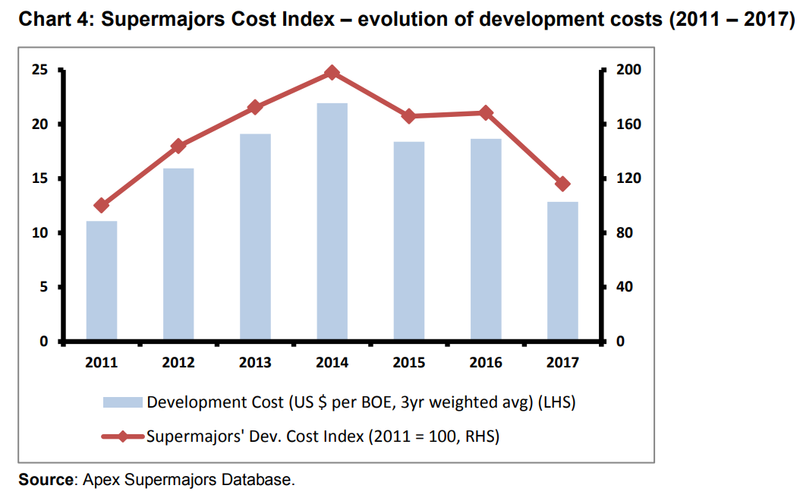 Apex’s “Supermajors Cost Index” measures the costs of the oil majors, which is not only useful to understand costs for those specific companies, but also because it offers a proxy for industry-wide trends. The crash in oil prices in 2014 led to dramatic overhaul across the industry, putting an end to the era of mega-projects. Layoffs, asset sales and widespread project cancellation led to deflation. Companies also became more efficient, using more standardized equipment, better technologies while also taking a more cautious approach to investment decisions. Apex Consulting said its Supermajors Cost Index fell by 41 percent between 2014 and 2017. However, the index in 2017 was still 16 percent higher than it was in 2011, a period when oil prices were much higher. Some majors have fared better than others. Apex singles out Eni, the Italian oil giant, as the one that has had the most success in keeping costs under control, followed by Chevron and Total. But the other four companies – BP, Shell, ConocoPhillips and ExxonMobil – saw cost inflation between 2011 and 2017, despite the bust in oil prices that began in 2014. At the other end of the spectrum is ExxonMobil. 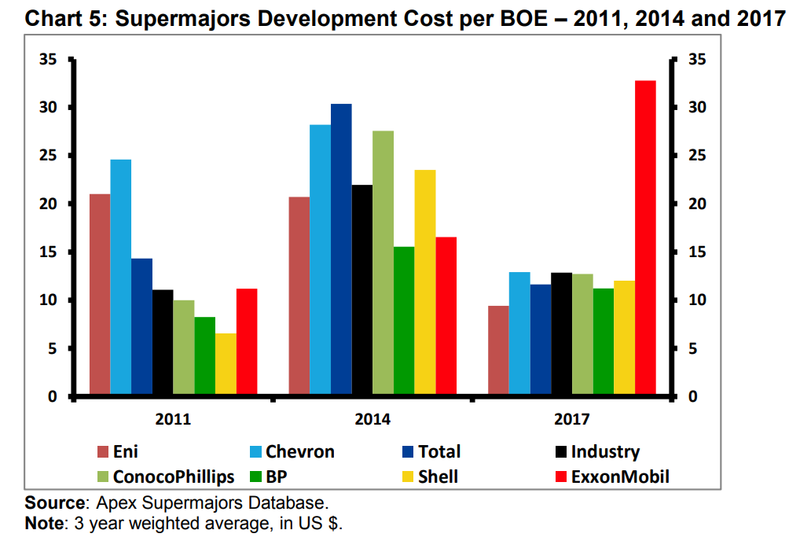 “ExxonMobil went from having one of the lowest development costs per BOE in 2011 to having the highest amongst the supermajors in 2017,” Muktadir Ur Rahman wrote in the Apex report. A big reason for this was Exxon’s decision to downgrade its oil reserves in 2016. 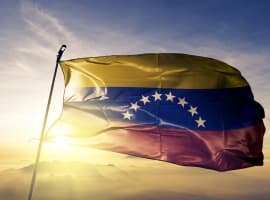 Looking forward, the uptick in spending on offshore is a sign that the oil majors feel confident they can begin greenlighting new projects even in a world of price volatility. “With the level of capital spending in 2018 expected to increase by 5% compared with 2017, it looks like the industry is gradually moving into a growth phase,” Muktadir Ur Rahman wrote. Ironically, this is occurring as U.S. shale is beginning to slowdown. The resurgence in FIDs for new oil and gas projects around the world could lead to cost inflation all over again. Laid off workers have left the industry altogether. The slack in the services sector will disappear as projects pickup. Meanwhile, tariffs on steel and other components could add to project costs as well.